Coffee may be the lone beverage category to make this extensive list, but it’s a must-have item when paired with some of the other winners. But we are not talking of those big name chains, we are talking authentic South Philly coffeehouses. 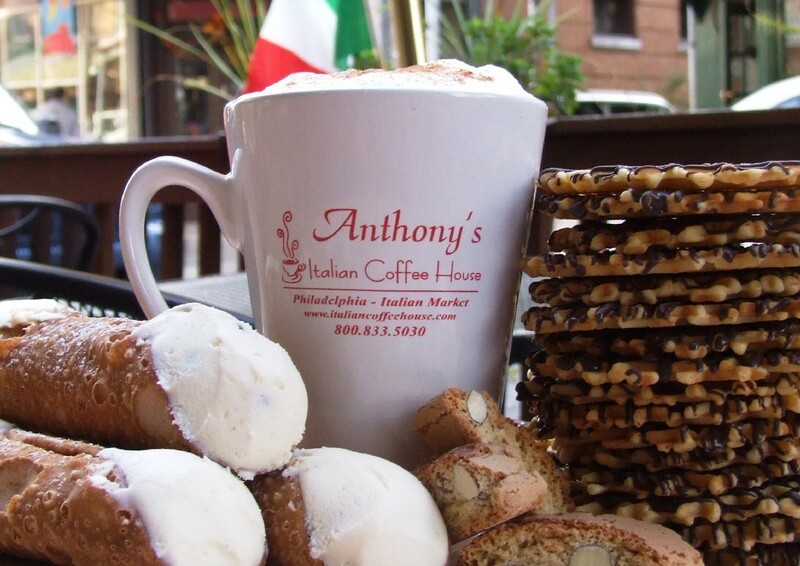 Anthony’s Italian Coffee & Chocolate House brewed its way to the top of the standings. Anthony’s, located in the heart of the South 9th Street Italian Market — 903 and 905 S. 9th St. to be exact — is all about tradition. The double espresso and Italian Market signature drip coffee are the best sellers, while the iced coffee with coffee iced cubes tends to be popular during the warmer months. “For over 20 years, our customers have enjoyed these as their favorites. Sure we offer other coffees by the cup and by the pound, especially since the more recent interest in single-origin coffees and newer brewing methods, but they always come back to the originals. Their love of our classics validates our focus on tradition,” Anastasio said. Those seeking pairing suggestions, he highly recommends the homemade chocolate gelato with a double shot of espresso — Caffe Affogato.